Imagine having your own personal mentor--someone encouraging yet honest, supportive yet empowering, who could help you set and achieve your goals, turn your moments of doubt and fear into sources of strength, and discover what you're truly capable of when you're at your best. Kendra Levin is that mentor. 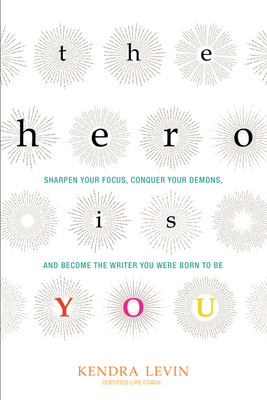 And with this book, she's here to help you do the best writing of your life--and live your best life while doing it. Whether you're a first-time writer with a brand-new project or a seasoned pro, you'll reach the end of this book feeling fulfilled, inspired, and ready to mentor the next writer on their creative journey. Kendra Levin is a certified life coach for writers, as well as a children's book editor, teacher, and writer. Since 2008, she has helped writers and other creative artists all over the world meet their goals and connect more deeply with their work and themselves. She is a senior editor at Penguin Books, where she has worked for over a decade. Kendra has taught classes to everyone from media professionals to prison inmates. Visit her online at www.kendracoaching.com.